It was another wonderful morning in paradise as the sun rose. As this was the weekend, more ships were in. Our morning was the second general session. The first presenter was a representative from American Express Travel. For travelers today, providing exceptional service is critical. 29% of vacationers want a cruise vacation, and 23% favor a resort style vacation. 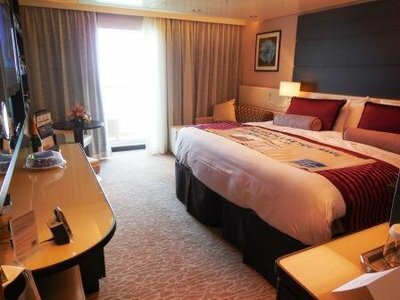 For cruises 72% prefer a balcony cabin. 60% of those are repeat cruisers. They current demand is for value added amenities. 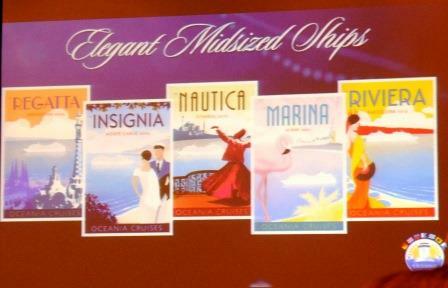 Europe the top destination (including river cruises) this year. In the next year, global travel will continue to grow at a rate of 5%. Facebook is the most preferred social media for those that travel. 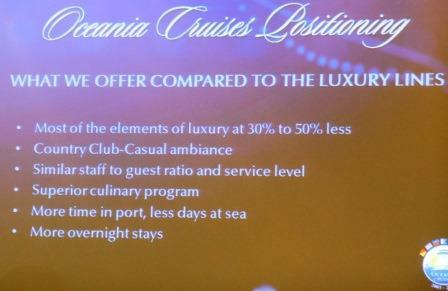 Cruisers want the experience of excellent food and wine, and want as much 'insider experience' as they can get. They prefer the Caribbean, Mexico and the Mediterranean as destinations. 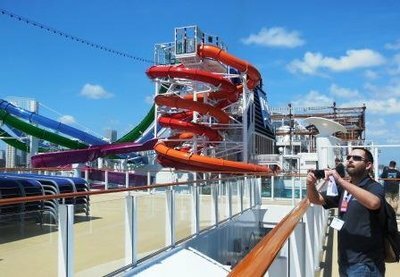 Multi-generation cruising is becoming even more popular. 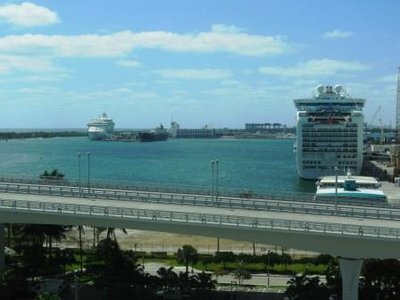 Special lifetime events influence many to take a cruise. Cruisers want value over price, and a variety of ports. 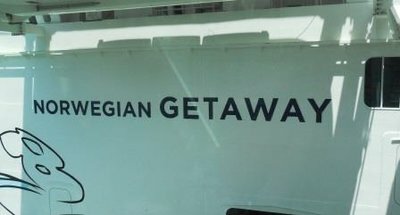 Major complaints include having to pay for internet connections, non-complimentary mini-bar setups. Highlights include informative guest lecturers and customized personal experiences. Late this morning we traveled to the port of Miami for lunch and an inspection of the Norwegian Getaway, the newest cruise ship on the oceans. You really knew it was spring break, judging by the number of families that were boarding. After a delicious lunch it was back to Fort Lauderdale! The conference today started with our opening General Session. Only 13% of the folks in the USA are 'happy' with their work. To Be Happy, the following factors will assist (1) try to get 7 to 8 hours of sleep a night (2) breathe when you work - folks have a tendency to hold their breath (3) Practice gratitude and do for others...and provide social support (4) Face time not Facebook! 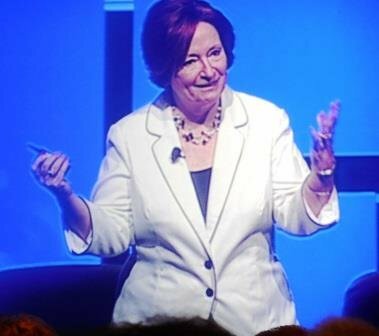 (5) Experience and adventure (6) Play to your strengths (7) Don't sacrifice happiness for success. 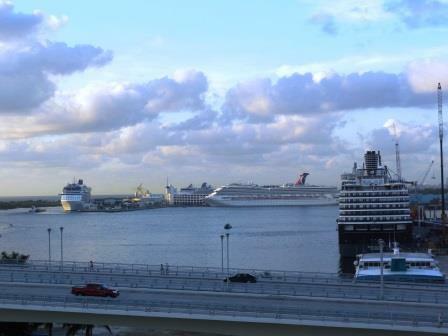 The cruise industry has experienced 20 years of continuous growth. In 2014, more than 21.7 million folks will cruise world wide. There are currently 410 cruise ships, with another 24 new ships expected in the next year. Their thoughts: Today's ships are using 25% less energy than those of just a few years ago. The cruise lines are investing heavily in clean water technology to keep the oceans clean. The lines are focusing hardware around experience. 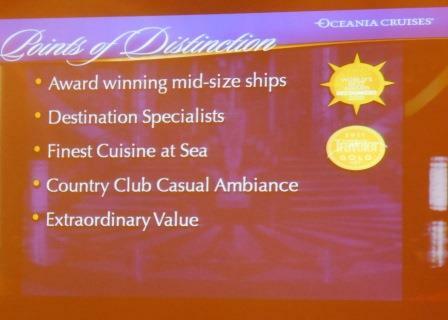 They are planning itineraries that provide wonderful destinations getting you there in a wonderful way. 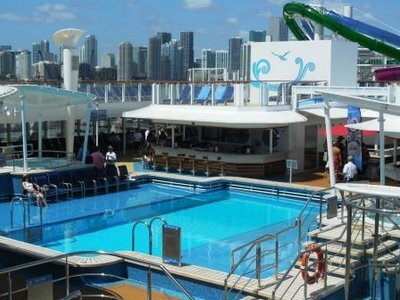 In the USA, more than 325,000 jobs are created from the cruise industry. The press over publicizes the effect of Noro Virus. In any given year more than 6% of North Americans contract the virus. Only .007% of cruisers experience the virus and those folks contract because someone came on board ill. Asia is a slow growing market because there is little infrastructure. 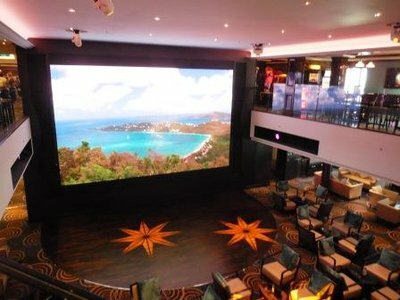 The cruise lines have to keep the Caribbean Islands focused so that they continue to provide the experience that cruisers demand. 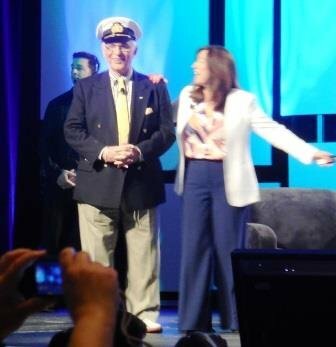 Our final guest was Gavin McLeod of Love Boat fame - still a spokesperson for Princess Cruises. He is a huge supporter of the industry! 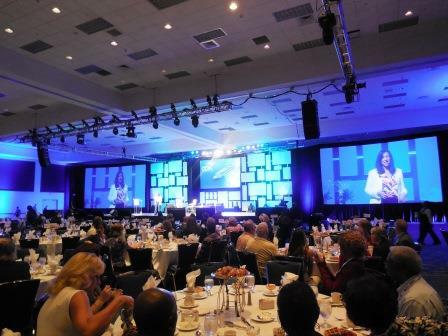 The first day at many conferences include classes for new travel agents as they try and achieve their industry qualifications. 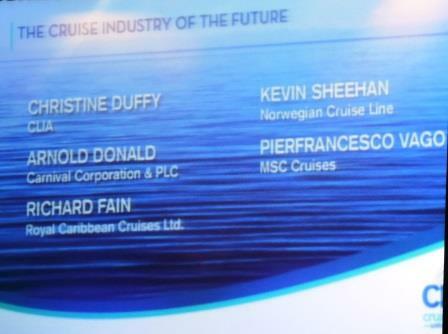 I sat in on a briefing from several of the cruise lines I sell. 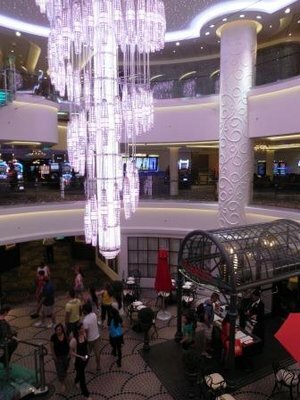 Although seemingly more expensive, you pay for almost nothing including air, pre-cruise hotel, shore excursions and gratuities. It is really quite affordable! 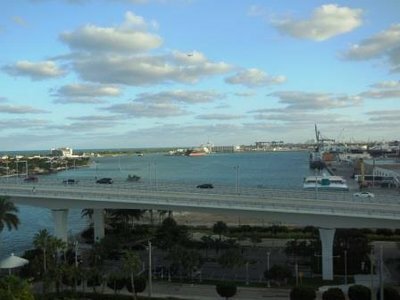 It features The Waterfront, a quarter-mile oceanfront promenade lined with restaurants, bars and spectacular views. The Norwegian Escape will join the fleet in October 2015 and will carry 4100 people and have some new, not yet revealed features. 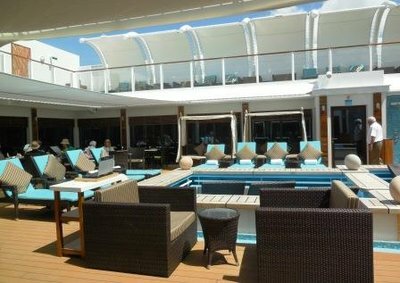 This is an ultra premium cruise line, far more inclusive than Princess or Celebrity, whose main rival is Azamara Cruises, part of the Royal Caribbean family. The three older former R ships are undergoing a complete $50M refurbishment that will be complete by June 2014 - two months away. They will have new decor, new dining options, and new art work. 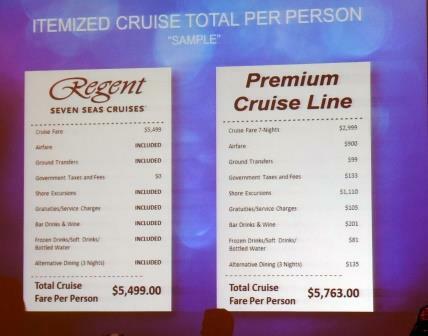 Cruise lengths run from 7 to 180 days. 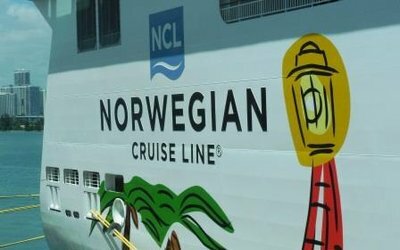 The 180 world cruises start in the summer so that different more northern ports can be included. You can particpate in Bon Appetit cooking classes on board and then take local culinary tours with the chef instructor. For all those folks who were following me on Serenade of the Seas, the internet connection the last few days of the cruise was not very good, so no postings. Overall the trip was excellent. Our table server from Peru was excellent - one of the best we had. Debarkation in New Orleans was easy as was our trip to the airport. Although the ports are not that exciting, the ship and the ambiance was superb, and New Orleans is a great place to cruise from. 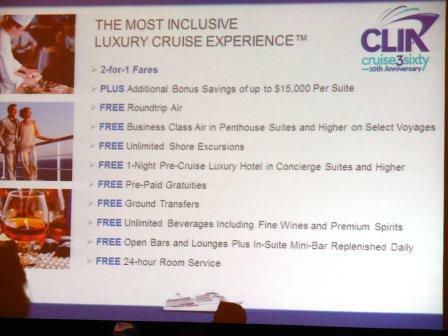 This weekend I am at one of the big industry cruise conventions in Ft. Lauderdale - Cruise360. 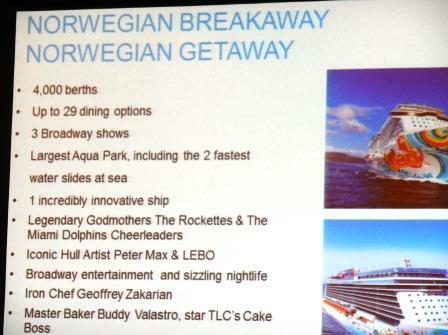 In addition to general and breakout sessions with industry/supplier leaders, I will be touring the Norwegian Getaway. Stay tuned for what's new in the industry!